With the peak season for cargo and passengers now happening all around us, it is worthwhile giving some consideration to the impact that this annual event has on ULD fleets and in particular how to deal with the storage challenges that will undoubtedly arise during this period. 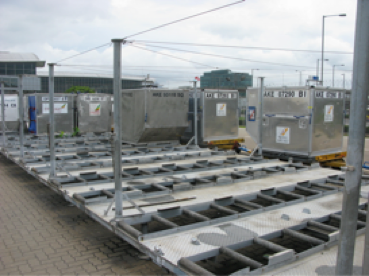 One of the biggest challenges faced by anybody managing a fleet of ULD is to try to ensure that they are being correctly stored at all times whether empty or loaded. 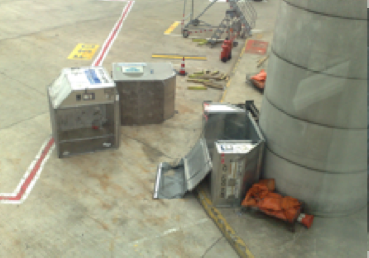 All too often ULD storage is something that is left to chance, a victim of insufficient space, budget, management, and most common of all, a complete lack of understanding that ULD are aircraft parts and need to be treated as such. But setting aside these systemic issues that regrettably may take a considerable time and effort for the industry to deal with, it is worthwhile at least paying some attention to the subject of dealing with the short-term ULD storage issues that can easily arise for a number of reasons during peak season operations. 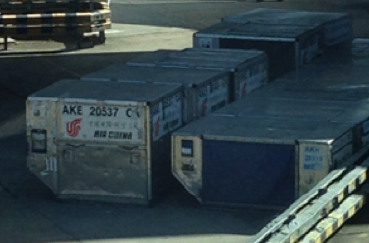 The IATA ULD Regulations introduced for the first time specific set of guidelines to be utilized when storing ULD outside of the conventional storage racking as defined in AHM 942: Functional Specification for Storage Equipment used for Full- and Half-Sized Unit Load Devices, recognizing for the first time that it is not always possible to store all ULD in nice storage racks and at the same time putting in place practices and procedures which should be followed when it is necessary to store ULD using temporary facilities. The important point to be understood here is that setting up some kind of temporary ULD storage provision is not something that can just be left to chance but should instead be carried out according to a proper plan and with the overriding objective that any ULD stored in such a manner will not be subject to damage. 8. 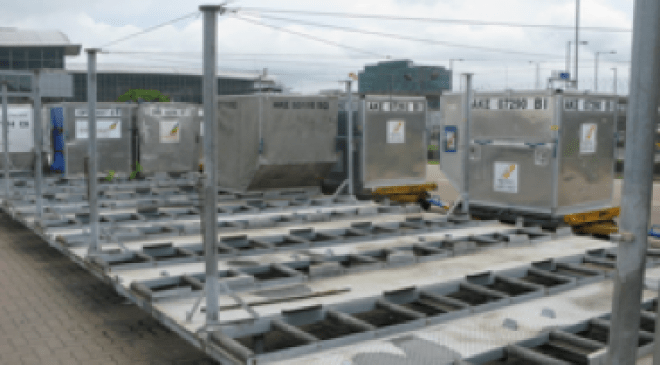 When the temporary storage of ULD is being carried out by parties other than the owner of the ULD, then the owner shall be informed that such temporary ULD storage practices are being implemented. Now, this is not rocket science, it is just the application of a few simple practices that when followed will greatly reduce the possibility of damage to ULD. After all, while this time of year with the peak cargo and passenger flows can generate these short term overstock situations, it also generates ULD shortage situations and having ULD damaged in poor quality temporary storage is hardly helping overcome such shortages. The prevention of damage to ULD is in everyone’s interest and of course it is also best for ULD to always be stored in purpose built racking. However when circumstances dictate otherwise, then at least following the 8 basic steps outlined in this article can minimize any damage.